In 2015, the County Health Rankings, once again, ranked Wyanddote County last despite improvements in policy and programming championed by the current action teams. So, the HCW Steering Committee and Unified Government Public Health Department investigated the top reasons why Wyandotte County continued to rank so low. WyCo's adult smoking rate of 25% was one of the top 3 factors contributing to the low health ranking. Thus, the coalition started the Tobacco Free Wyandotte Action Team (TFW). Ensure support for populations that are targeted by tobacco companies. 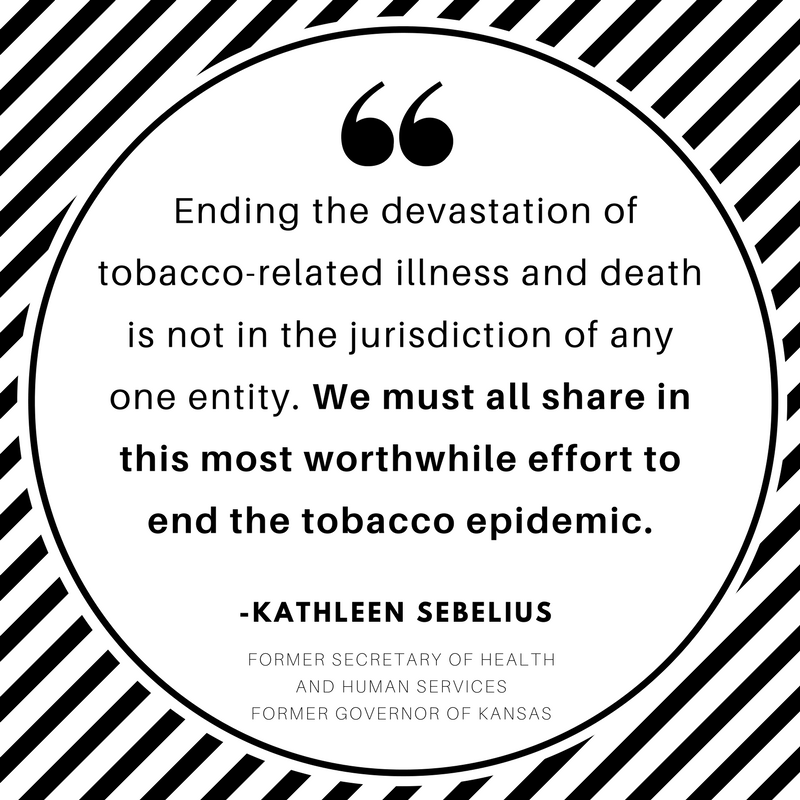 We know that we are battling a well-resourced industry whose products are one of the most addictive substances on the planet, but we believe that together, we can build a Wyandotte County that is free from tobacco addiction and disease. Join us as we work toward a Tobacco Free Wyandotte! Want to get involved with Tobacco Free Wyandotte? Contact hcwyco@wycokck.org to learn how! Become a Play Tobacco Free Partner! 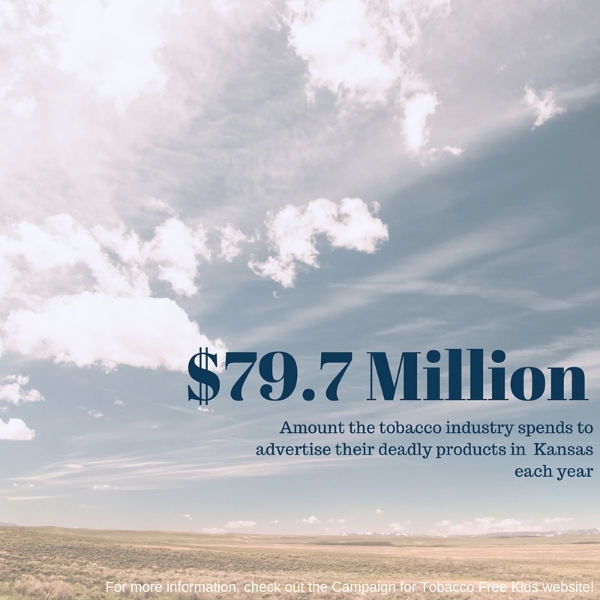 Are you trying to promote tobacco cessation with your organization? Take this free online training to learn about cessation best practices, the Kansas Quitline, AND earn a CEU. Contact Rebecca Garza for more information or assistance with promoting cessation. Have you heard about Tobacco 21? Tobacco 21 is a policy that increases the age of sale for tobacco products (including e-cigarettes) from 18 to 21. The majority of people that smoke, 95% in fact, began smoking before they turned 21, when the teen brain is most vulnerable to addiction. This policy is already working to help lower the teen smoking rate by keeping tobacco out of high schools across the country. In November 2015, Kansas City, KS was the first community in Kansas to pass Tobacco 21! In March 2016, Bonner Springs also passed Tobacco 21, making it the 5th city in Kansas to have this policy. We are proud to lead the region in tobacco prevention! To learn more about Tobacco 21 check out www.tobacco21.org. Have you noticed a T21 violation? Wondering what you can do? Community members can be a big help in making sure our youth and retailers don't violate our T21 policy. For under 18 violations only contact the Kansas Alcoholic Beverage Control Division at 785-296-7015. For under 18 violations call the Kansas Alcoholic Beverage Control Division at 785-296-7015. Check out this page on youth access to tobacco in Wyandotte County to learn more about Tobacco 21 enforcement and tobacco retailer density in our county.